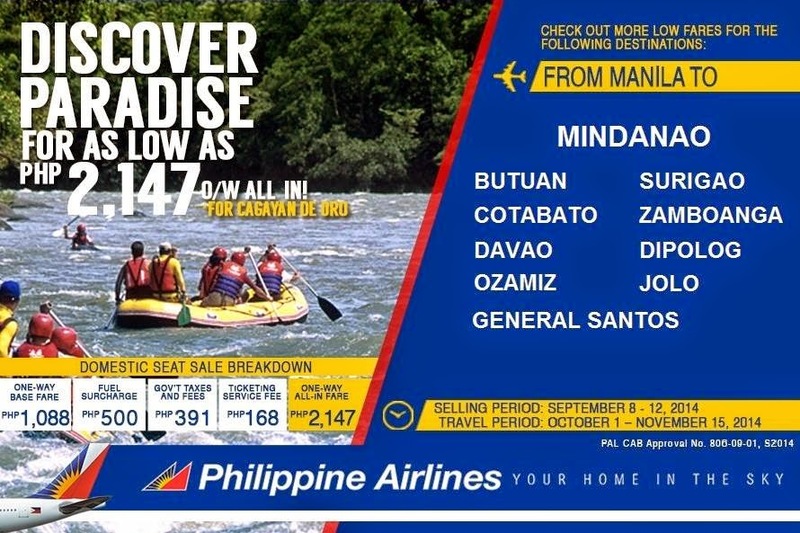 Philippine Airlines Promo 2019 - 2020: Pal Promo Fare Discover Paradise in Mindanao! Philippine Airlines Promo 2015: Ready your gears for a diving mecca that is Mindanao as we bring you our #PALPromoFare! The perfect getaway will be destinations to Butuan, Cotabato, Davao, Ozamiz, Surigao, Zamboanga, Dipolog, Jolo and General Santos! The One-Way Base Fare is Php 1,088. Fuel Surcharge is Php 500. Taxes and Fees is Php 391.